As your veteran-owned small business enters into a new calendar year, you should be aware of some of the trends on the rise for small businesses in 2018. Rethinking your business strategies and examining current trends are great ways to refresh your business outlook, reestablish your goals, and ultimately make your small business even more successful. Here are three of five small business trends to get your started. To get the other two, which include marketing strategies and company culture, download the ebook now. This can start with making sure your employees are all trained on having a warm, inviting attitude and are knowledgeable about your products and services. Putting the customers’ needs at the forefront will help you stay competitive and is something you’ll want your employees to refocus on in 2018. Artificial Intelligence (AI) is making a huge swing into the business world; according to the National Federation of Independent Business (NFIB), AI is predicted to be one of the top 5 investment priorities by 2020. AI can play a crucial role in your customer service experience. The goal is to use AI not to replace caring and knowledgeable interactions with customers, but rather to enhance the overall customer experience through data collection. Use it to help boost your productivity and deliver rich insights into your customers, as a way to almost anticipate their needs. This area of business exchanges is rapidly growing; NFIB has predicted by 2020 more than 56 percent of customers will be using mobile pay! What this means for small businesses is that you should turn your attention to making the ease and accessibility of your company’s mobile experience a good one for your customers. Check your website layout and your menu options: are they easy to understand and offer valuable information? Does your site have accelerated mobile pages (AMP)? – the latest Google research shows that 53 percent of people will leave a site that takes longer than three seconds to load. Do you have a mobile wallet or some form of a person-to-person (p2p) payment platform like Venmo or the Cash App? These are just a few ways that you can ensure an excellent and current customer experience. As a veteran small business owner, you have a strong partnership niche that many small business owners do not start off with: a group of fellow veterans who will have your back. As of 2014, the VA estimated about 7 percent of Americans have served or are serving in the military; what better place to start with building business relationships? Veterans can often share similar mindsets and priorities and, if nothing else, have unifying past experiences that can create an instant connection. Looking to create meaningful partnerships or connections with other veterans? Look for events taking place at a local base near you or in the veteran community at large. These might be open houses at college campuses, events at your local VBOC (Veteran Business Outreach Center), or events at one of the 17 Bunker Labs locations across the nation. Do a quick search and you’ll be surprised at the number of these events you’ll find. According to recent Infusionsoft research, 46 percent of small business owners aren’t sure if their marketing strategies are successful. Yet, this is an extremely important aspect of making your small business successful. Some of these trends are important to make note of due to a key upcoming change: the entrance to the marketplace of members of Generation Z (individuals born between 1996 and 2010). Research shows that these teens have a buying power that already exceeds $44 billion and who have the potential to influence $600 billion in family spending. So while you may feel you have just grasped what Millennials are looking for, a new generation of buyers and owners are making their entrance that must be taken into account as well with your small business marketing strategies. 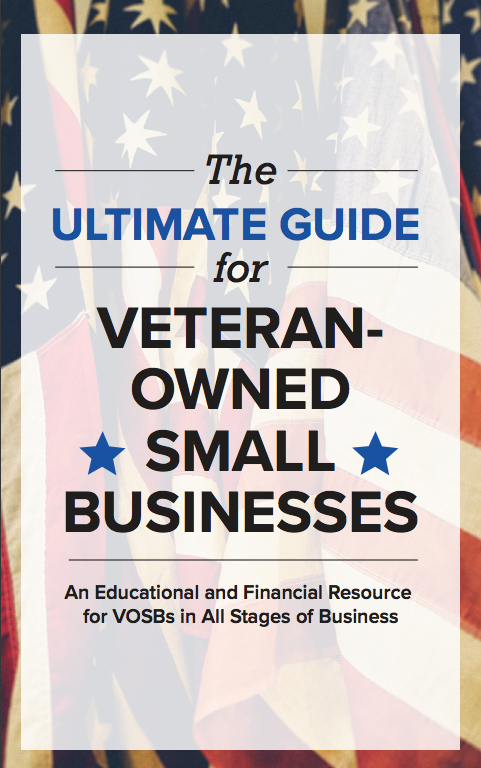 Download the ebook 5 Small Business Trends for Vet-owned Small Businesses to learn about five specific marketing tactics and trends to implement now. The ever-important, crucial question that you should be asking yourself over and over as a small business owner is how well you know your financing situation. Here are a few good questions to be asking yourself to re-assess where you are in this new calendar year, and how you want (and may need) to create goals to continue to see progress financially. What is the ratio that you have between cash flow and your current debt obligations? What portion of my earnings is liquid? Are there areas of my business that are not making money as well as others, and how can I fix those areas? What do my outgoing funds look like (e.g., rents, salaries, loans, credit card debt) and can I improve anywhere? Are you seeking new funding? What is the nature of your need; how much do you need and how urgently do you need it? How much can you afford to pay back each month? Are your margins higher than the interest rates? Learn about different types of small business funding options such as business term loans, a business line of credit and accounts receivables financing. Do you have a business credit score? If so, do you know the current number? What efforts can you put in place to raise your score? If you don’t have business credit, learn how you can build your business credit here. This is a quick tag back to the veteran partnerships you may have made – are there ways that you can use those unique veteran relationships to create more cash flow or lending opportunities for yourself, such as a crowdfunding campaign or friends or classmates with similar interests? Or can they help fill a gap in your business’ resource needs? You never know how someone else’s small business might partner well with your own to make a more complete product or service. As we mentioned previously, the introduction of Generation Z to the workplace is set to bring some changes. For example, Generation Z’s even greater exposure to technology than Millennials may change the way they desire to conduct business and adapt to technological advances. Download the ebook 5 Small Business Trends for your Vet-owned Small Business to learn about ways to keep your work environment current with some foreseen changes such as the desire to work remotely. To conclude, re-analyzing how your small business matches up to the changes presented in these trends will give you new goals and tools to set your small business up for success. Take some time to consider your customer service care, be strategic and intentional to build relationships and continue to network, re-strategize and up your marketing game to stay competitive, create a careful and warm work environment that can accommodate the needs of all generations of employees in your care, and, finally, always take great consideration to look at your financials and know where your small business stands from a numbers perspective. If you take the time and effort to be thorough, you stand to improve your small business and set yourself up for a successful 2018 and beyond. 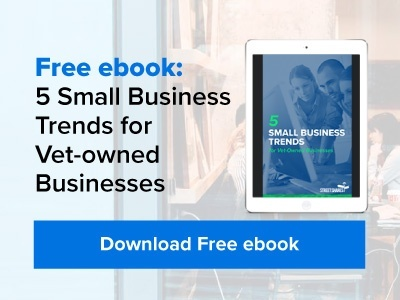 Download the ebook 5 Small Business Trends for your Vet-owned Small Business to get an in-dept picture of these business trends.